Don’t be surprised if you don’t know who Kula Shaker is despite the fact that they’ve been making music since 1995, have 4 studio albums, 1 tenth anniversary reissue, credits on movie soundtracks, several critically-acclaimed covers (including Bob Dylan, The Beatles, and Deep Purple), worked with renown producers Rick Rubin and Bob Ezrin, and have a huge following in the UK and Japan. Instead, let me tell you why you should know them. 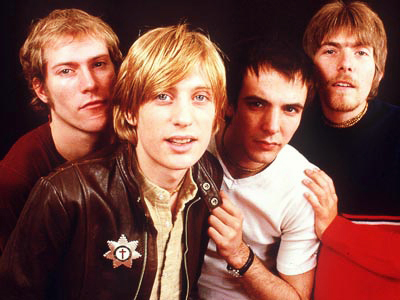 Kula Shaker was one of the many English bands that were smooched into the Brit-Pop category during the mid 1990’s – in the heyday of bands like Oasis and Radiohead. A unique sound seriously overlooked, it’s not fair to say Kula Shaker fits that category. They blend traditional Indian music with 60’s psychedelic rock with an ease that reminds you of The Beatles’ experimental phase. And along with English lyrics, they also write and sing in Sanskrit (Google “Sanskrit” if you want to be more impressed). Their albums consist of a wide range of styles – from hard rock anthems to delicate acoustic ballads, Indian chants to radio-friendly pop rock. One thing is for certain; this isn’t your run of the mill Brit-Pop band. The band consists of Crispian Mills (guitars/vocals), Alonza Bevan (bass), Paul Winterhart (drums), and Jay Darlington (keyboards/organ) who was later replaced by Harry Broadbent. Though their debut album K was critically a smash and brought them to the forefront of UK audiences, it was their sophomore effort, Peasants, Pigs and Astronauts where they had perfected their sound and energy. In fact, they’ve admitted to spending every penny they had on this album. Unfortunately, not long after its release the band decided to part ways in 1999. They each worked on their own separate projects including Crispian and his new band, The Jeevas, which had a more classic 70’s rock sound (they are definitely worth a search as well by the way). By 2004, Crispian produced an album of all-traditional Indian music entitled School of Braja. It featured many artists including a reunited Kula Shaker. They announced news of their reunion and upcoming record Strangfolk due out in 2007. Fans didn’t have to wait long for their follow up album Pilgrim’s Progress, which was released in 2010. It has been applauded by the music press and is becoming their best-reviewed album since their debut. Spread the word, Folks. 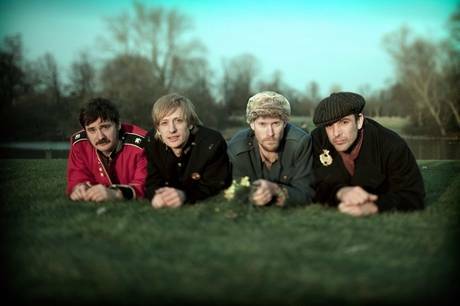 For more information, check out Kula Shaker’s website: www.kulashaker.co.uk. TRIVIA: The cover of Kula Shaker's debut album K contains famous persons and characters whose names begin with the letter "K".